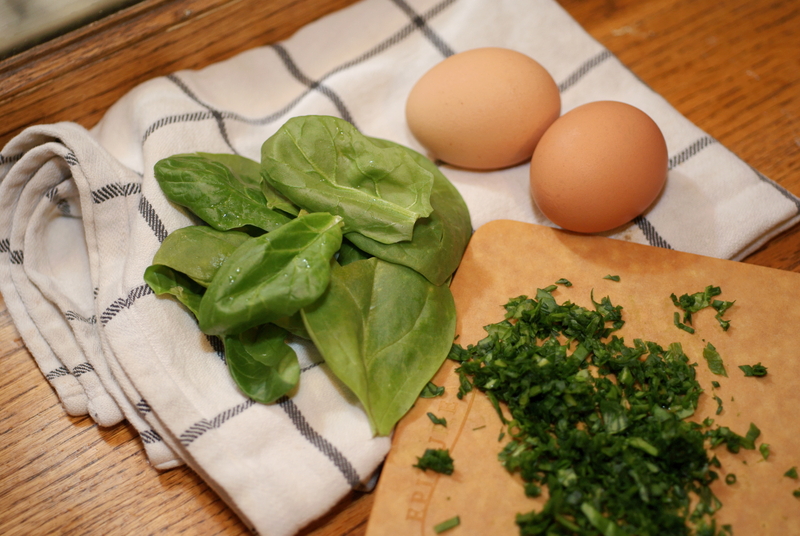 Easy, simple way to incorporate leafy greens into your kids diet! 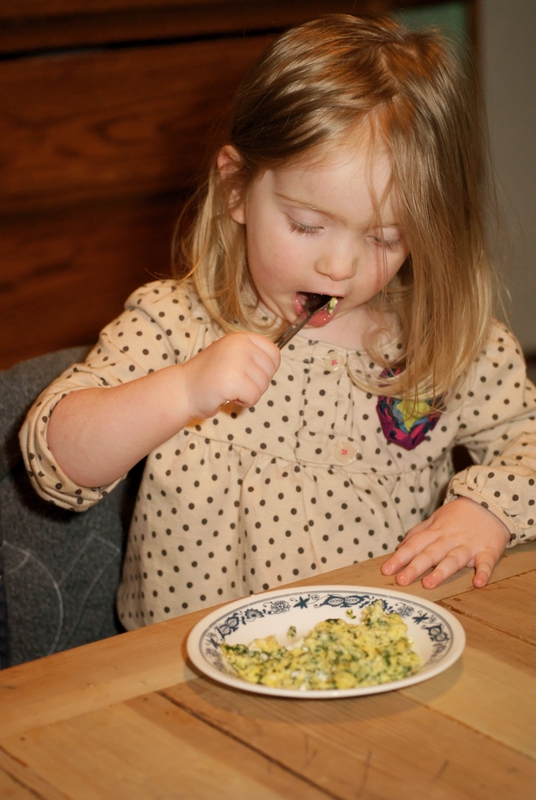 This is how Ella began eating her eggs- always with sauteed vegetables and spices, and though I don’t put the effort into adding veggies every single time she wants an egg these days she does still like them this way, especially when there’s a decent cheese involved. 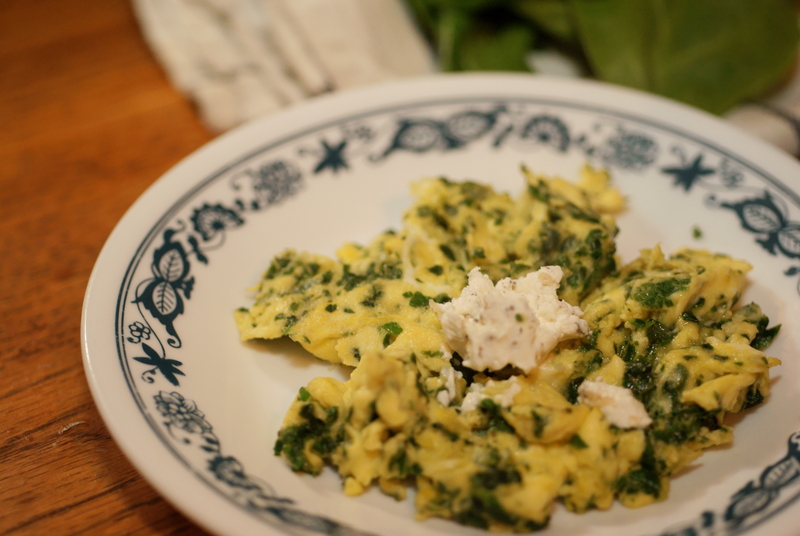 We also love using artichoke hearts and parmesan in our spinach eggs. You might be thinking a handful of spinach and a few tablespoons of artichokes doesn’t qualify as a vegetable serving, but adding a handful here and there adds up fast and for me it’s a helpful way to ensure I’m getting enough vegetables in my child’s diet. Besides, green eggs are fun and delicious, and Dr. Seuss can back me up on this. Heat oil in small saucepan, cook spinach until soft 30-60 seconds. Add egg and spice, cook completely. Top with goat cheese. My daughter is a big fan of eggs, so when I told her we were having quiche for dinner and she gave me a serious, disapproving look and shook her head no, I knew she still wasn’t clear on exactly what a quiche is made of. “Egg Pizza!” I exclaimed, and immediately encountered an excited face with big eyes and some of my favorite words to hear: “Ella help.” She always says “help” with such anticipation and hopeful uncertainty, really drawing out the word as she enunciates every letter and places her face, eyebrows raised, squarely in front of yours where she can lock eyes with you so there’s no mistaking how committed she is to her request. Then she runs looking for a big chair to pull up to the counter, and I make sure to hide any extra eggs I don’t want her cracking. Destruction – creation – destruction – creation…this task was designed for a toddler. 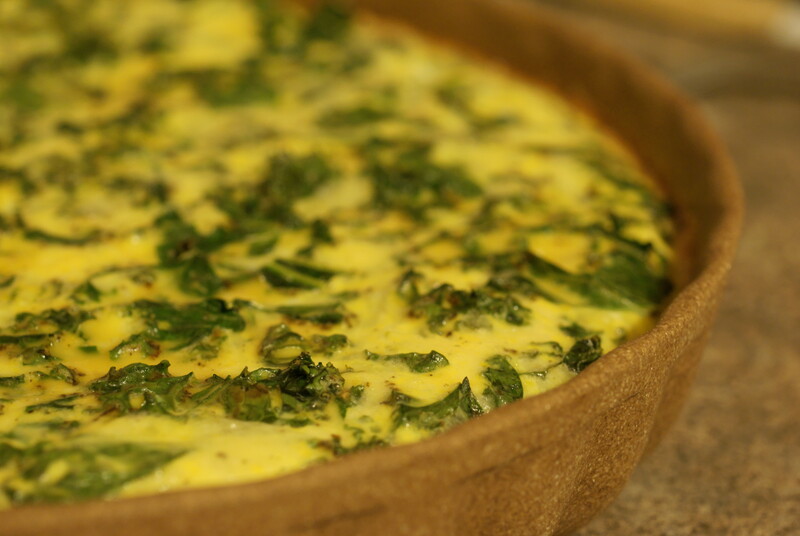 Note: I use a large quiche pan for this dish (not a standard pie pan). If you don’t have one, or a suitably sized dish (who says quiche has to be round?) you’ll want to use 2 pie pans and make 50% more crust. Combine flours and salt in medium bowl. Cut in coconut oil and butter until pieces are no larger than pea sized. Add water and mix very gently, kneading only a couple times to form a ball. Flatten slightly into a disc, place on plastic wrap and chill in the refrigerator for 30 minutes while assembling other ingredients. In large sauté pan, combine kale with 2-3 T. water, cover and cook over medium heat until kale has steamed (3-5 minutes), stirring occasionally. Add ¼ t. salt to kale, place in bowl; shred cheese into same bowl. In large measuring glass or 1 qt. bowl combine pumpkin puree, eggs, half and half, sage, pepper and remaining ¼ t. salt. Cover and keep egg mixture cold while crust prebakes. Preheat oven to 350°. Roll out chilled dough on a lightly floured surface to cover quiche pan and gently press into pan. Poke the bottom of your crust several times with a fork. Bake for 15 minutes. 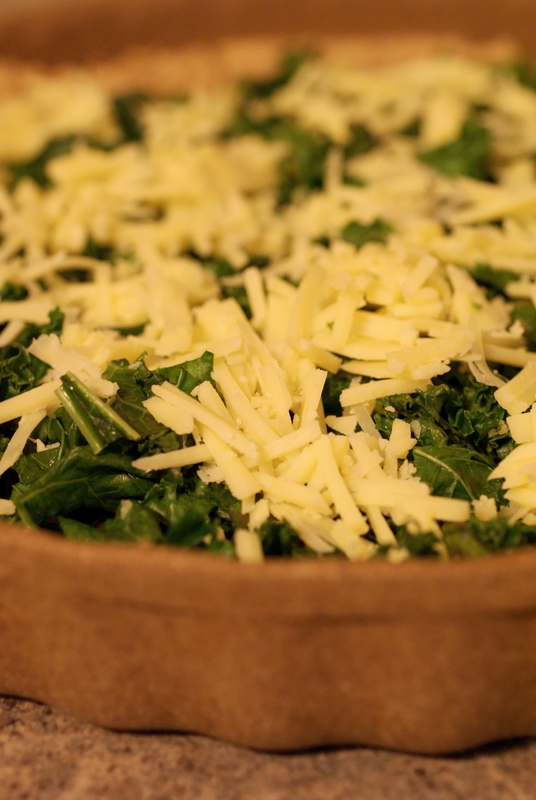 Place kale onto prebaked crust, top with cheese, then cover with egg mixture. Bake for 20 minutes or until egg mixture is set.